Flows at 9 cfs now with weed growth prevalent. Good news, as the final planting of diploid trout have been released into the creek. Last years planting really took hold and flourished throughout the season. The creek is on its way back to the status it once had. Fishing has been really good here with as many of these guys as you want to catch. 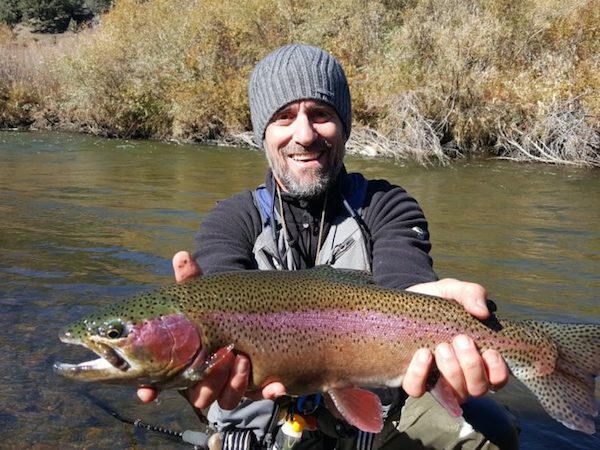 It can be non-stop fun with a light weight rod and the right dry fly, and some bigger models are mixed in with the party as well. #18 mayflies, #18-22 midges, #20 Brassies, and egg and SD worm patterns have been getting some serious looks and takes from the resident trout.